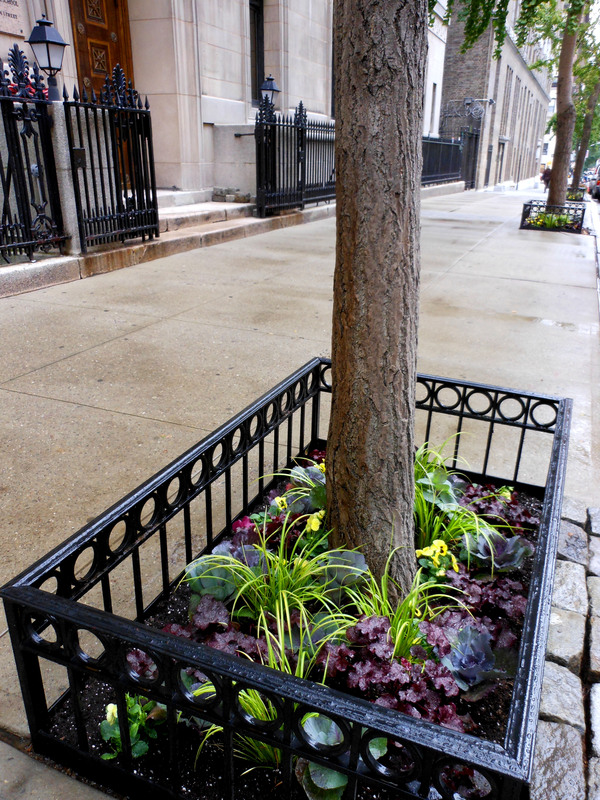 Nestled on a side street on the upper east side of Manhattan, this high school had some long abandoned tree pits that needed a little TLC and some color for the fall season. After excavating the existing soil and debris we planted an elegant display of Brassica oleracea (Ornamental Kale), Heuchera (Coral Bells), Acorus sp. (Sweet Flag) and pansies. 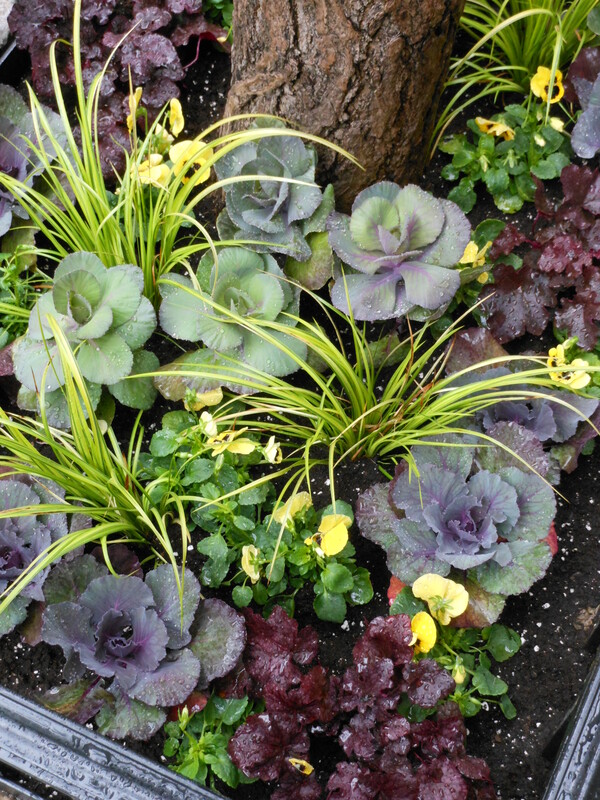 The colorful foliage of the plants provide the backdrop for the splash of yellow provided by the Pansies. Always think about some neutrals in your planting and having one plant (or flower) be the focal point. You could call this planting autumnal, but I think just plain preppy suits just fine. One of my favorite things about my job is that I get to see so much of New York City every single day. Now that it is a little cooler out I love to walk extra blocks instead of going to the nearest train station. The result is I get to see more of the good, the bad and the ugly landscaping. I came across a literal sidewalk sensation on 23rd Street between 8th and 7th Avenues. I found this portrait and immediately thought about the NY Times article featuring the chewing gum art by Ben Wilson . Any New Yorker will tell you that walking down the sidewalk consists of watching out for holes, dog crap and other obstructions. 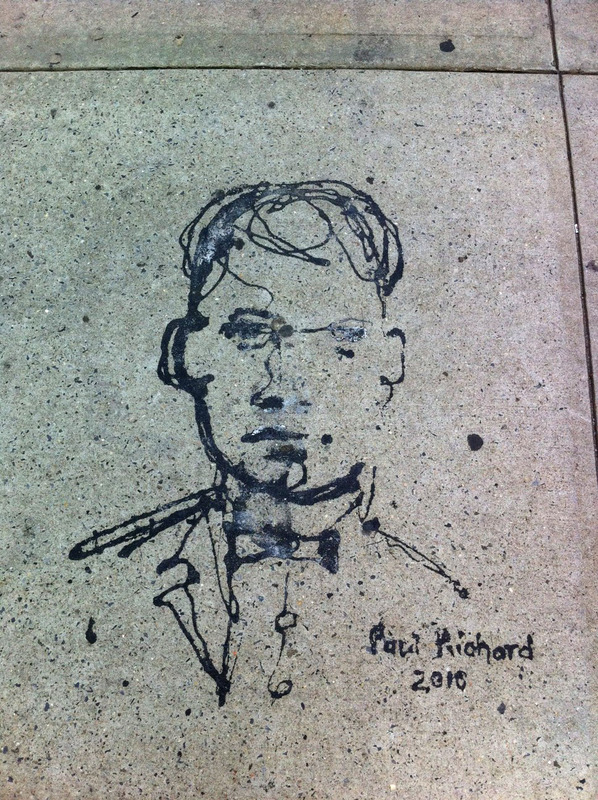 I found this little piece of art by Paul Richard to be a pleasant surprise. 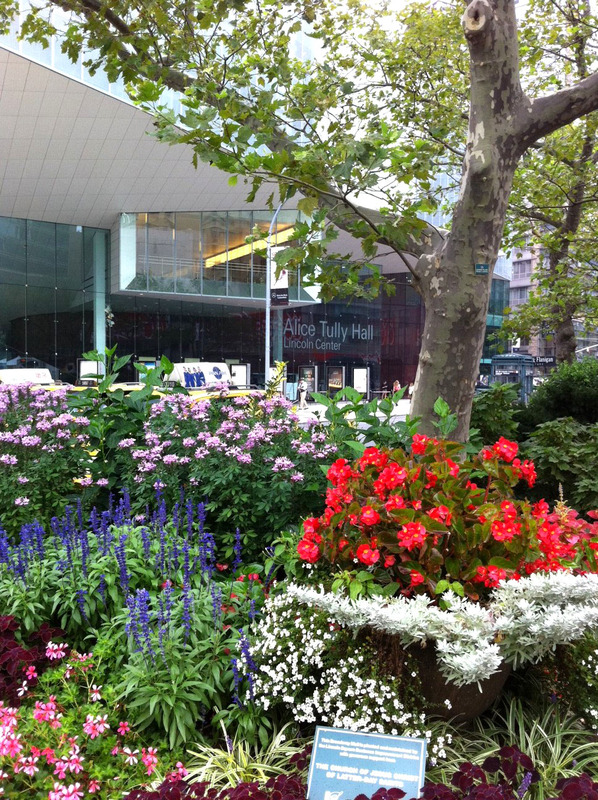 As I continued on my trek today I found this lovely planting on the Broadway Mall at West 66th Street. It seems that the plantings on this narrow strip in the center of Broadway have never looked quite this good. It really stood out to me today with a lovely mixture of Cleome, Salvia, Geraniums, Begonias and Coleus. None of these annuals are necessarily showstoppers, but the arrangement was very cheerful on this pleasant fall day. Perhaps the influx of fashionistas and nearby fashion week events influenced the level of attention given to this particular landscape. I always advocate using the biggest planter possible for a given space but sometimes we are confined to use existing planters. 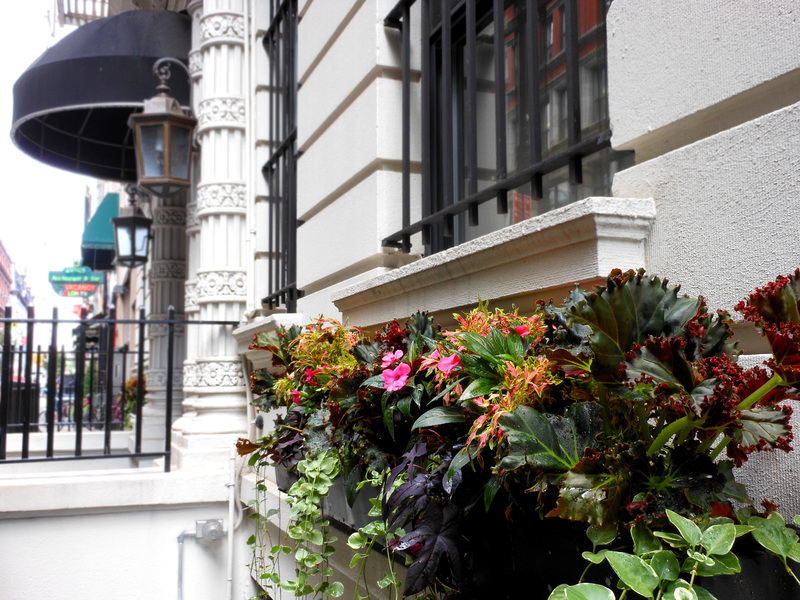 Just because a planter, in this case a window box, is tiny doesn’t mean it can’t have a big impact. 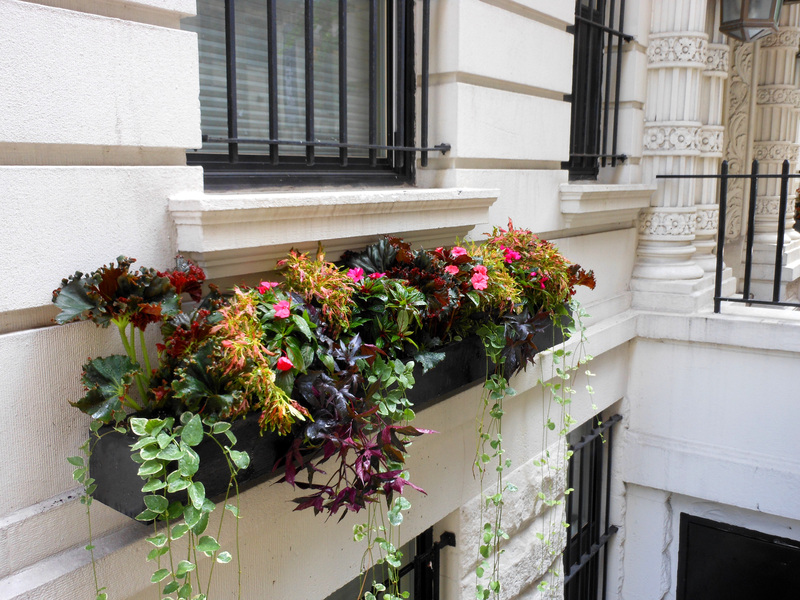 Here we used a mixture of Begonias, New Guinea Impatiens, Vinca, Sweet Potato Vine and Coleus to create an elegant color scheme. The pink hues of the Coleus pick up on the vibrant color of the Impatiens while the saturated leaves of the Begonia provide a dark contrast. 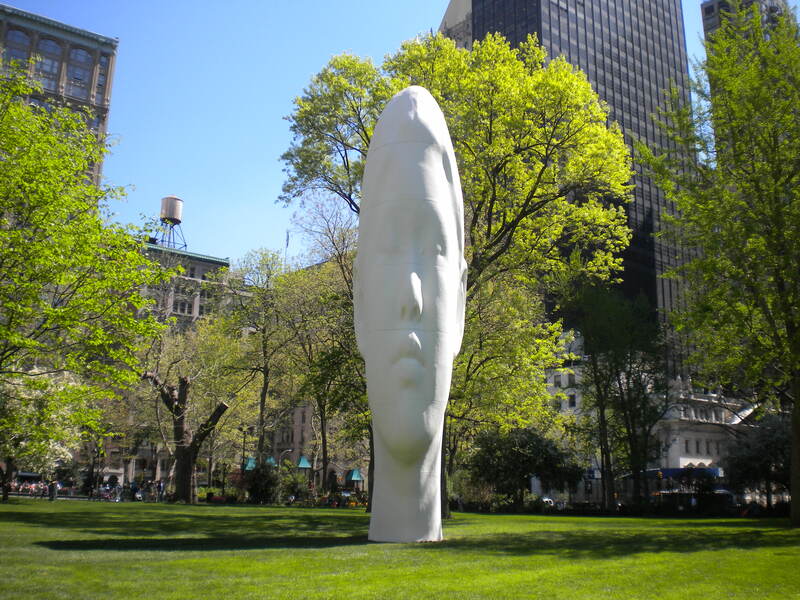 August 14th is rapidly approaching which means the days are limited for the gigantic head living in Madison Square Park. **Correction** The exhibit has been extended for three more weeks through Sept. 11** Created by Spanish artist Jaume Plensa, this white fiberglass sculpture looks like a child’s head twisted with a distorted perspective. Mr. Plensa’s works are on display all over Europe, Canada and the U.S. If you are in the neighborhood, it is well worth a detour. A frozen custard from the shake shack and a view of this beauty is all your Saturday afternoon needs. The Impala, nestled in the middle of East 76th Street, has a secret that needs to be shared. It has a stunning courtyard. This luxury condo building was designed by Michael Graves. Betula nigra ‘Heritage’ (River Birch) trees soaring over 30′ tall fill the entire courtyard and are remarkably full. 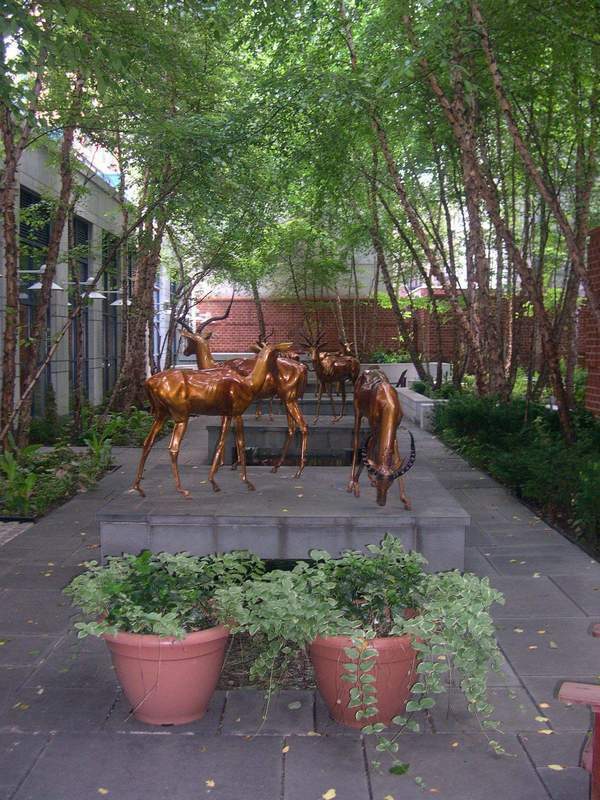 Bronze antelope sculptures provide interesting and quite unusual focal points throughout the space. The patio and walkways provide enough room to stroll comfortably around the courtyard while the central water fountain provides a tranquil sight in the warm season. 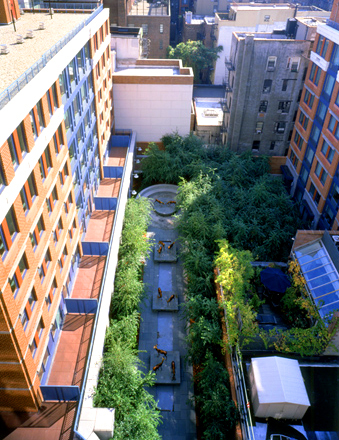 In complete contrast to Griffin Court, the view from the apartments facing this courtyard transport you to another world. While taking in this view I quickly forgot I was in New York City. 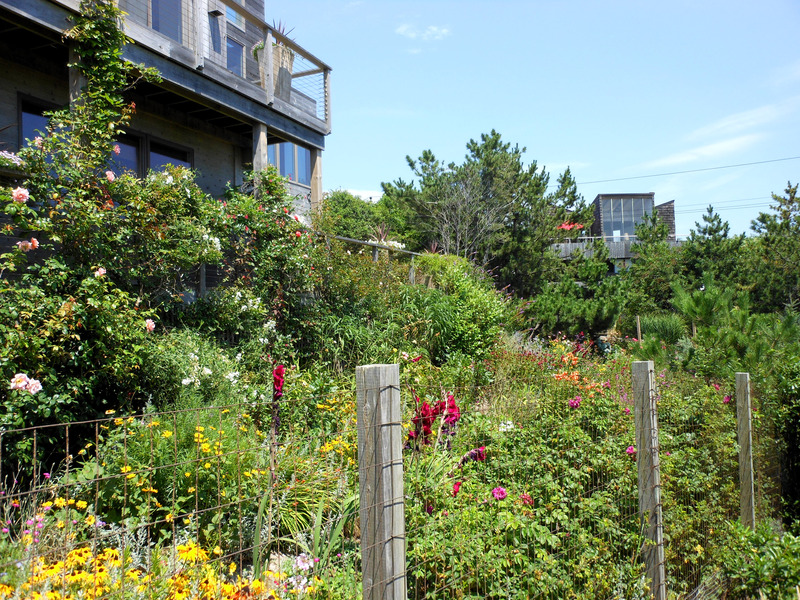 Considering the fact that all ornamental plant species in this intimate beach community floated over the Great South Bay on a barge or ferry to settle into their new homes, Fire Island Pines features some stunning private gardens. One of my favorites sits at the corner of Ocean and Tarpon Walk. 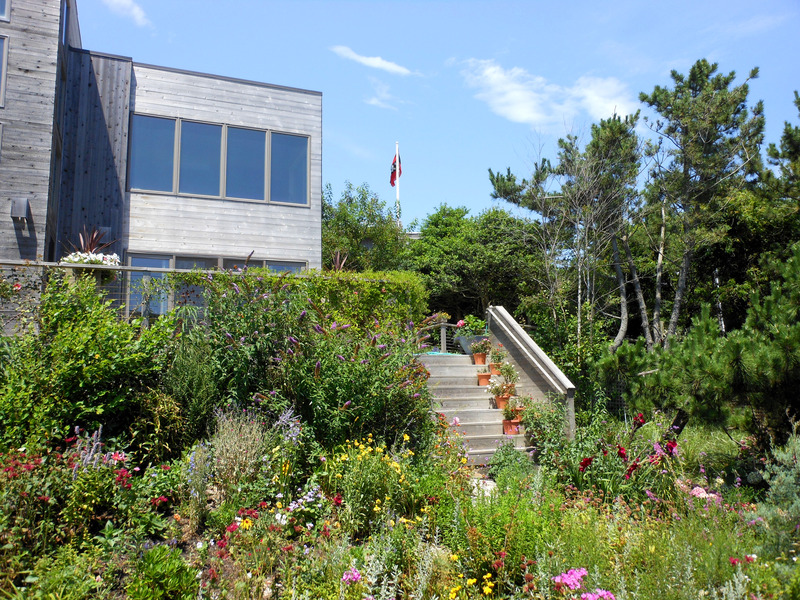 This floriferous garden is filled with a divine mixture of perennials which saturate the front of the house with a bouquet of living color all summer long. Velvety Gladiolas in deep magenta mixed with a top performing annual, Verbena bonariensis, was a successful and unusual combination I found in the garden this past weekend. Patches of Perovskia atriplicifolia (Russian Sage), Cotinus coggygria (Smokebush), Rudbeckia fulgida (Black-eyed Susan), Monarda didyma (Bee Balm) and Buddleia davidii (Butterfly Bush) grace this garden with a rainbow of hues. Complete with a separate rose garden and deer fence to keep out hungry critters, this garden is a labor of love. It is well worth a trip to walk by this garden throughout the season to see what’s in bloom. 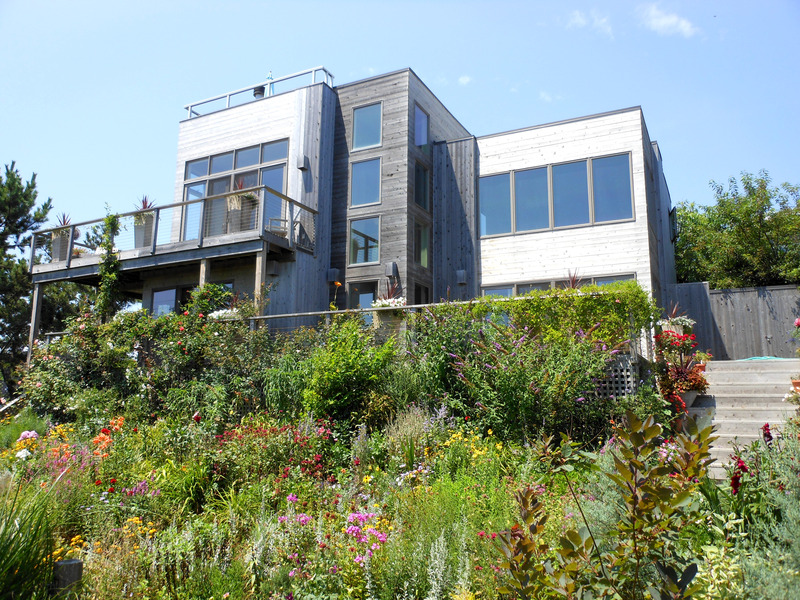 The house and the owners are just as beautiful as this patch of land they curate. This little sidewalk treasure was a pleasant yet unexpected find in Carroll Gardens, Brooklyn. 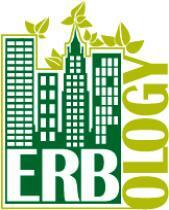 Well designed landscapes with a modern flair are not the typical scene on these streets. 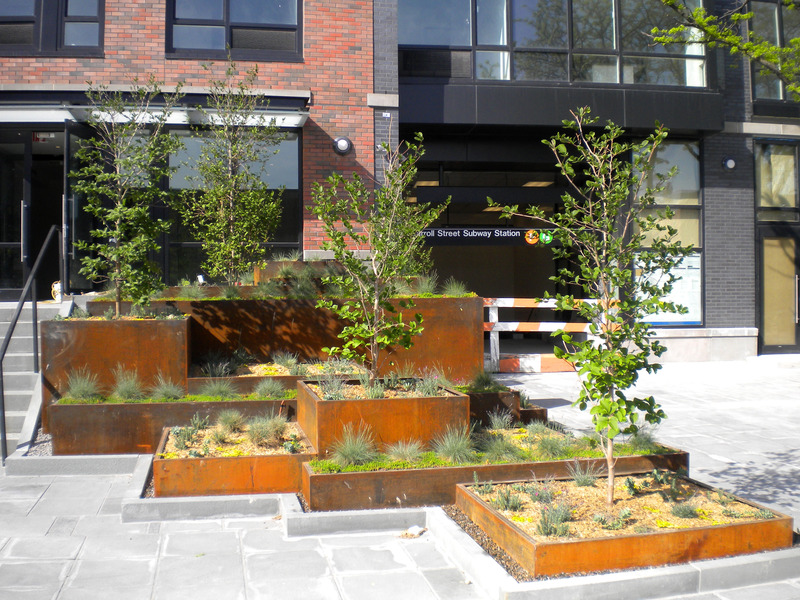 Raised planting beds created from coreten steel provide structure and character to the otherwise dull streetscape. 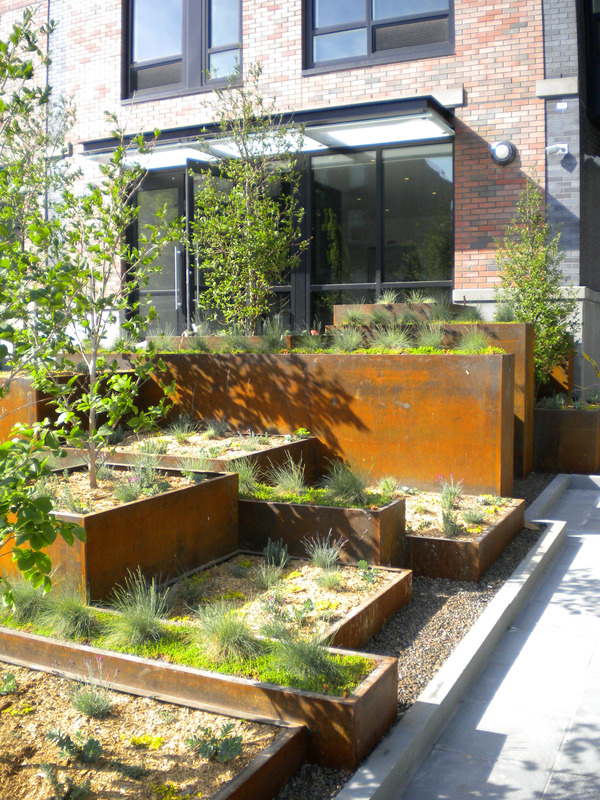 The raised beds allude to the way Richard Serra utilizes positive and negative space in his sculptures. With a play on height and form, these beds help define the entrance to this new condo building as well as the nearby subway entrance.